Ability to go in multiple weather scenarios. Most reliable vehicle l have ever owned. Very convenient for a large family due to amount of storage space when needs for vacations, sports, etc. Spacious seating, both front and rear, that allows for comfortable rides as well as longer trips. Ability to pull with a hitch anything under 1500 pounds gives the option for hauling large items on a trailer, pulling a camper or a boat. Having four wheel drive allows easier travel in multiple weather situations. As far a performance this vehicle has the "get-up-and-go" when needs. Gas mileage is average around 25 miles per gallon. 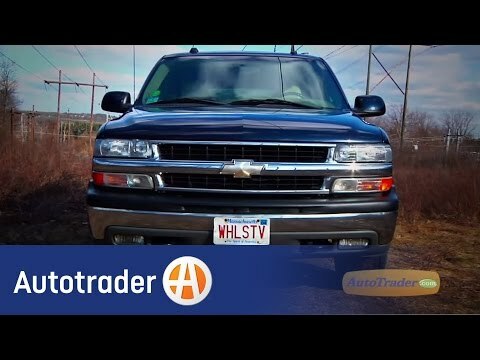 Highly recommend Chevrolet Tahoe. That I share it, and get to drive it only when it is available to me. It is 100% a great vehicle. It gets me where I need to go, the engine runs great, it is comfortable and has all the features I need. It is great on gas and is exactly the kind of car I am looking for. It is white, my favorite color on cars, and it has a tan interior which is also great. Might be cracking in some areas but it is old. Has a factory tow/haul option installed that is great for towing. Have no problems, performs well, is reliable, comfortable to drive, and is a good vehicle to tow our camper. I would probably purchase another when this one is no longer serviceable or needs repairs that would exceed its value to me. I have yet to find another replacement for it that would be of more value to me or do a better job.